Drain the tofu and place on cutting board. Cut in half like you would a bagel, then into 3 strips, keeping the tofu in the same block shape you got it in. Wrap tightly in plastic wrap and freeze for a minimum of 2 hours (or a maximum of one month if preparing in advance or storing for later). Bring small pot of water to a boil and place the unwrapped block of tofu in the water. Cook for 5-10 min, taking out the pieces as they float to the top. Don’t worry if they stay stuck together, you can fix that once it’s cooled. Place cooked pieces on a plate lined with paper towels. 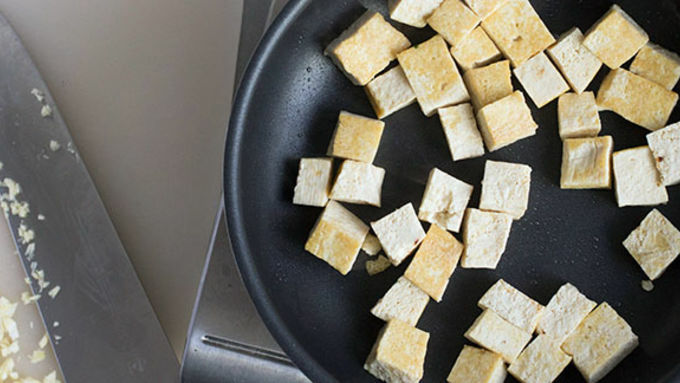 Once tofu is done, place on a paper towel lined plate and add a tablespoon more oil in the pan. Sauté the garlic and red pepper flakes for a couple minutes until nice and fragrant. Add chopped kale and cook for 3-5 min until kale is wilted and cooked down a little. Add the tofu back into the pan and toss with the tablespoon of soy sauce. Serve over rice, quinoa, etc. If you hate soft, spongy tofu, then this recipe is for you. 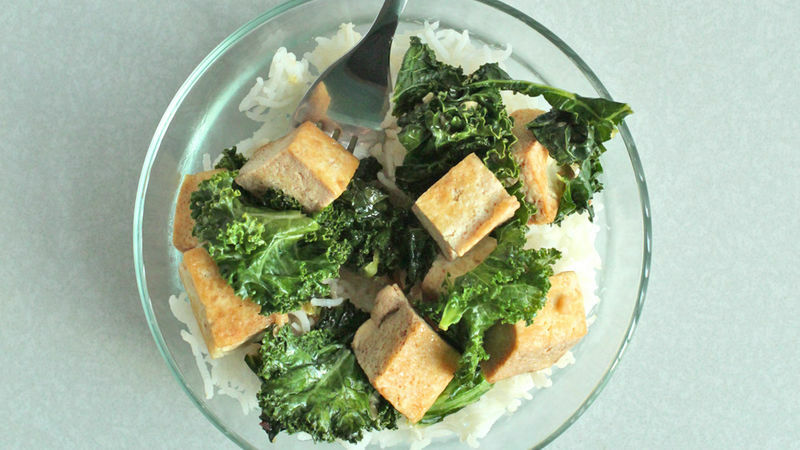 Kale and Crispy Tofu Stir Fry is the tofu dish you need. You may think tofu's texture and lack of flavor is the worst, but we’ve got a couple tricks up our sleeves today that’ll help make sure you get crispy tofu with a heartier texture. 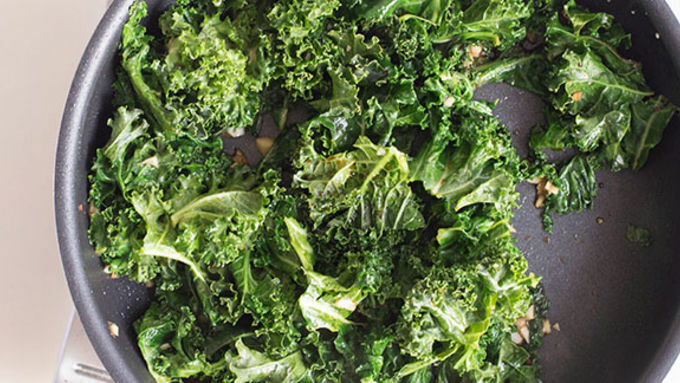 Plus there’s a lot of garlic and kale, which is always a win. First up: Ingredients! 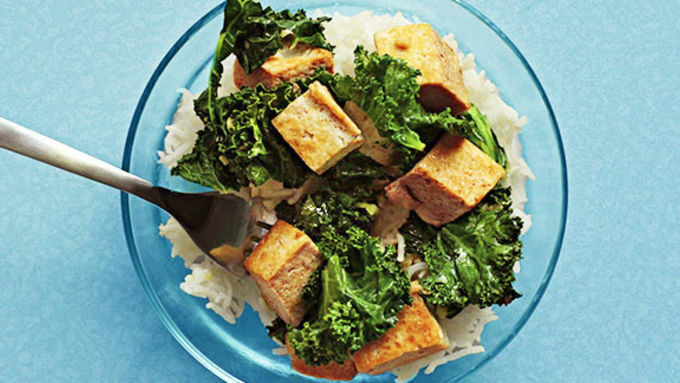 This simple dish just has extra firm tofu, kale, garlic, soy and some red pepper flakes for a little kick. The trick to getting tofu crispy happens with a couple steps: Freezing and boiling the business. The only drawback is that you have to wait a few hours for the tofu to freeze. But it’s something you can prepare before you leave for work and have it ready when you get home. To prepare the tofu for the freezer, you just need to drain out the liquid, cut it sort of like a bagel, and then cut into some strips. 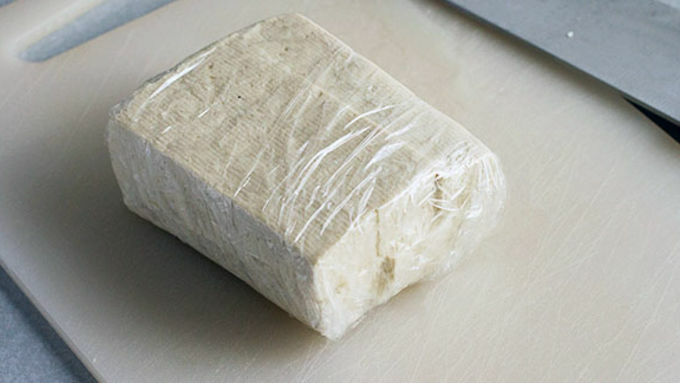 Make sure the tofu stays in the block form, then wrap it up tightly with some plastic wrap and throw it in the freezer. When you remove the tofu from the freezer you might think something went wrong. 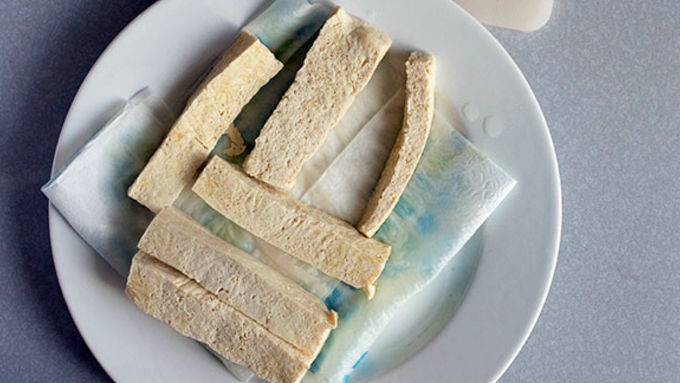 The tofu will look like a gross block of old ice cream. But don't worry! We’re gonna work our magic and toss this in a pot of boiling water for about 10 minutes and it will transform back into something yummy. From there you'll fry it to golden, crispy perfection, then simply toss it with some wilted kale, garlic, and red pepper flakes. Serve over rice or quinoa and enjoy.